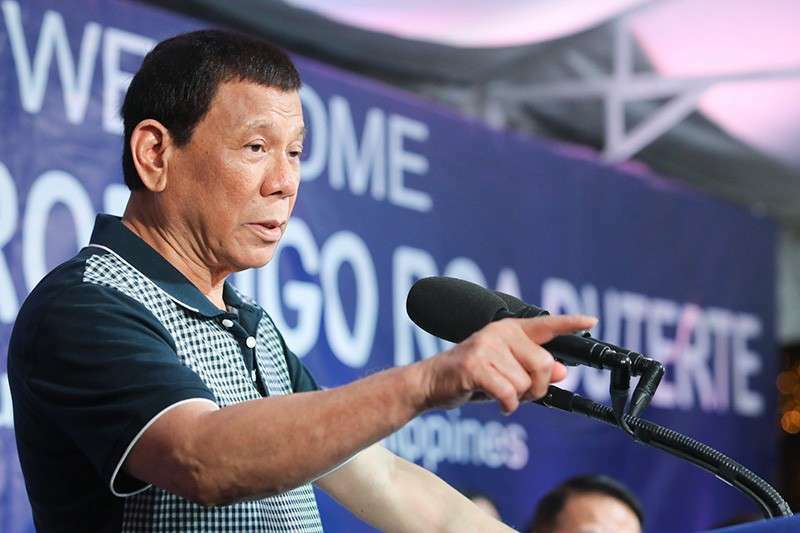 PRESIDENT Rodrigo Duterte on Friday, February 8, took a swipe at human rights groups for keeping silence over the death of a 19-year-old nursing student who died of a suspected drug overdose while attending a pre-Sinulog concert in Cebu on January 19. In a speech in Legazpi City, Albay, Duterte was dismayed by human rights groups’ apparent silence about the incident, especially since they harp on about his administration’s deadly crackdown on illegal drugs. Duterte made the remark as he revealed that he met with the parents of Ashley Abad, who reportedly died from a party drug overdose, at Malacañan Palace. He, however, did not elaborate on what was discussed during his meeting with Abad’s parents. “Kahapon, ‘yung kay Ashley, ‘yung bata na namatay, parents went there sa opisina ko. Kaganda ng bata, 19 years old, medical student. Ang human rights, wala akong narinig sa mga p***** i**** ‘yan,” the President said. The Philippine Drug Enforcement Agency (PDEA) is currently investigating reports that Abad died from ingesting a party drug after attending a concert in Cebu on January 19. The PDEA is still verifying reports that Abad's boyfriend, who reportedly continued to be “uncooperative,” gave her the party drug ecstasy before she collapsed. While waiting for the full results of Abad's autopsy, the PDEA admitted that it is still having a hard time getting information from the victim's companions during the concert, including her boyfriend. Duterte, in his latest speech, maintained that his administration's fight against rampant narcotics trade would remain relentless. The firebrand President also reiterated that individuals who are into illegal drugs would face death. “Kaya sabi ko, pumasok kayo diyan, papatayin ko talaga kayo. Nakikinig ang human rights, judges. Kung wala na ako sa opisina, go ahead, make my day. 'Yung mga galit na pinatay, pinatay ko daw, puntahan mo ako sa bahay. 'Pag tulog ako, gisingin mo ako, pagbigyan kita,” Duterte said. “Mga p****** i**, hindi mo ako mapa-ano diyan. Ako nagwa-warning. Kapa pagka meron kang anak, meron kang kapatid, then do not cry. P****** i**. He who is the cause of the cause, is the cause of them all,” he added.